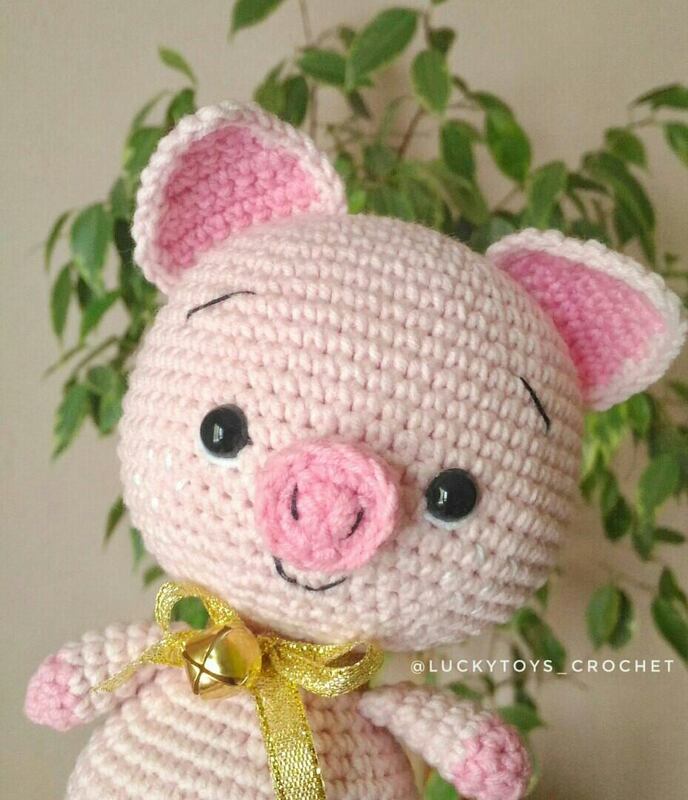 Do you like this sweet crochet pig? 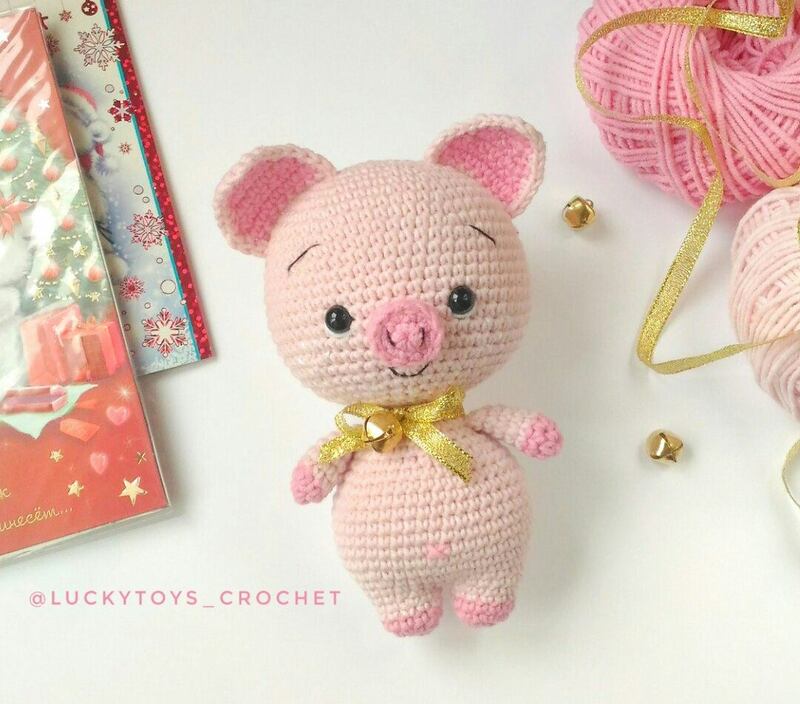 Right here you can see how to make this amigurumi pig. 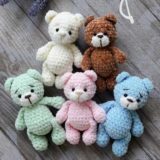 To create a 6 inch (16 cm) pig doll you will need YarnArt Jeans yarn and 2.00 mm crochet hook. On the second leg don’t cut the yarn, you will use this yarn to crochet the body. Insert safety eyes between R 16 and R 17 at the distance of 9 sc from each other. Embroider eye whites with white floss. Finish stuffing. F.o. and leave a long tail for sewing. R 1: 2 ch, from the 2nd ch from hook: 2 sc, 1 turning chain. R 2: 3 sc, 1 turning chain. R 3: 4 sc, 1 turning chain. R 4: 6 sc, 1 turning chain. R 5: 8 sc, 1 turning chain. R 6: 8 sc, 1 turning chain. 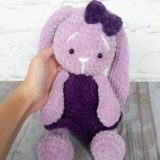 Make 24 sc around edges of ear with pink yarn. 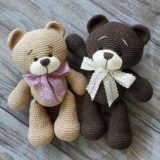 Embroider eyebrows, a nose and a mouth with black floss. hi, i am Cicillia. 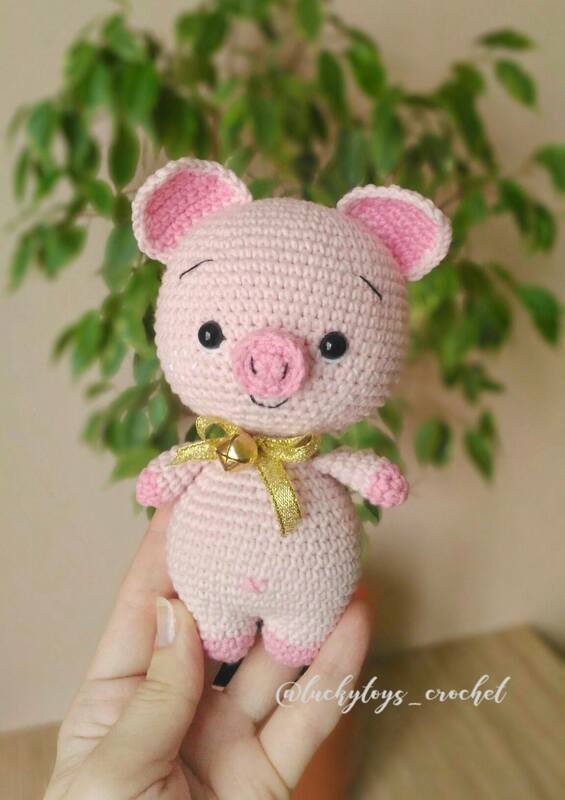 I am trying to make this amigurumi pig pattern, but now i am stuck at the ear, i can’t understand from R1 to 2, i tried many times and can’t find how to make 3 sc at the R2 and hows its works from 2sc to 3sc to 4sc and next become 6sc to 8sc… Pls help me… thank you so much for your pattern. i thinks this pig is very cute..
Hi, we have the same concern. What i did was to do sc in the end just to reach the number of sc. But still it looks awkward… So sad coz i find this pig so cute. 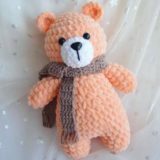 Made one and so happy with the result.